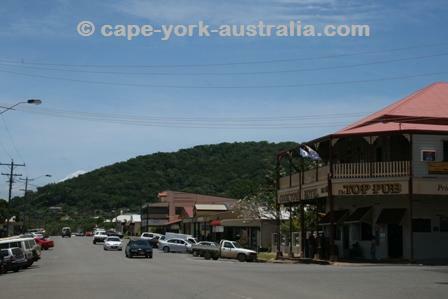 Cape York towns are small and far between. 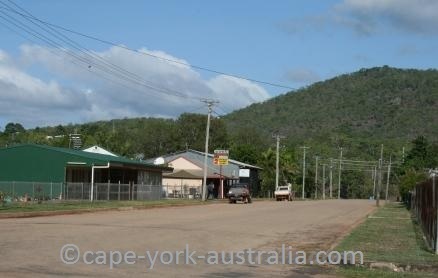 On a surface about the size of the state of Victoria, there are only a few sizeable towns on the Cape York peninsula, and the distances between them are hundreds and hundreds of kilometres. From the south to the north, they get smaller and smaller. 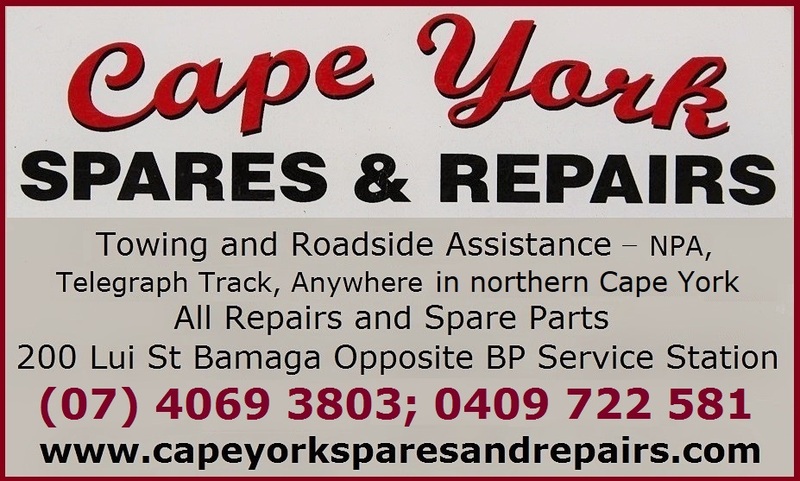 Just south of the peninsula are Cairns, Mareeba, Chillagoe and Port Douglas. In the southern parts of the peninsula are Cooktown, Lakeland and Laura. 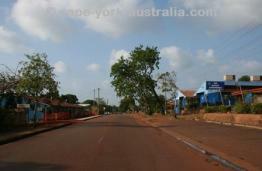 In the central parts is Coen, and in the northern parts are Weipa and Bamaga. 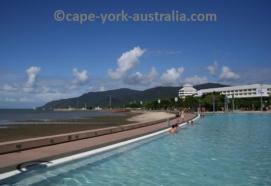 Cairns is the second largest city in north Queensland and the only city anywhere near Cape York. It has lots of things to see and do, some great day trips and other activities, excellent accommodation, and it's one of the best places to take a tour to the Great Barrier Reef. 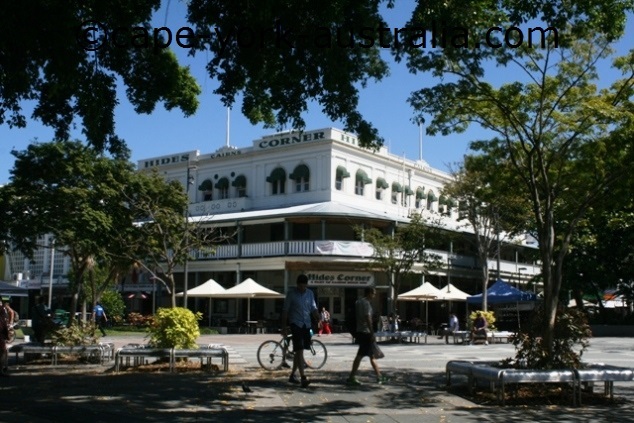 Cairns is not on the real peninsula, and the same goes for Mareeba and Port Douglas. 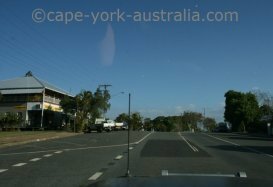 But because many people start their Cape York trip in Cairns, and drive through Mareeba and/or Port Douglas, I included them in this website and the guides (pocket guide and the Destination Guide). 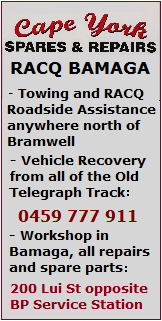 Mareeba is a reasonably large country town. It was originally the hub of the surrounding farming and cattle country, but is now getting more and more things to see and do for travellers. 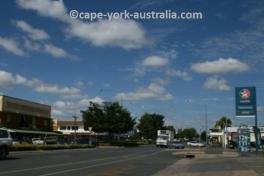 It's also large enough to have some fast food chains, a variety of shops, and a couple of supermarkets. 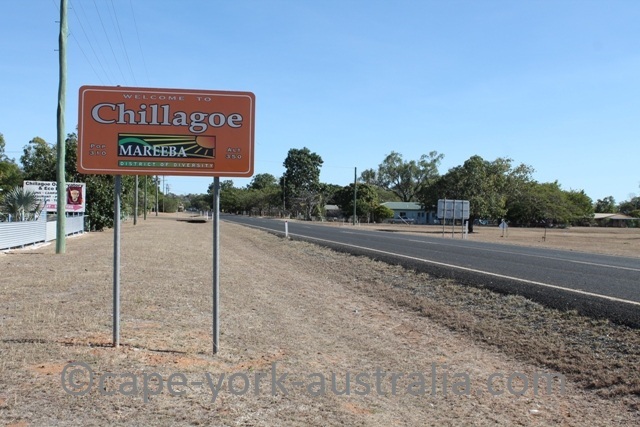 Chillagoe is a small outback town on the Burke Developmental Road between Mareeba in the east, and Normanton in the west. 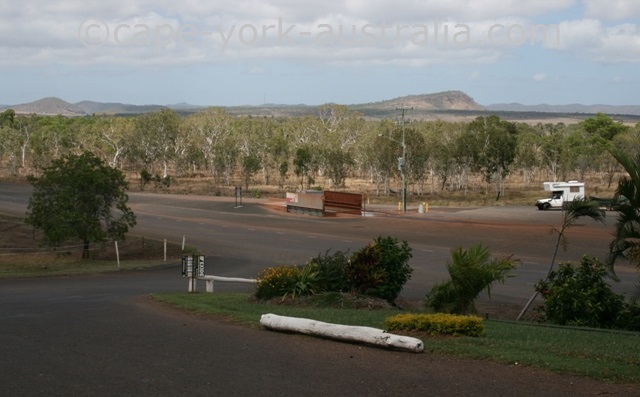 It is relatively remote compared to other towns south of Cape York, with about 150km to Mareeba and about 600km to Normanton, and in between is nothing but the bush. 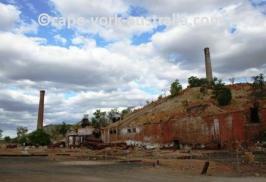 In Chillagoe, there are the historical smelters ruins and the famous Chillagoe Caves. Back on the coast and north of Cairns, Port Douglas is a touristy town and generally I am not a big fan of them. 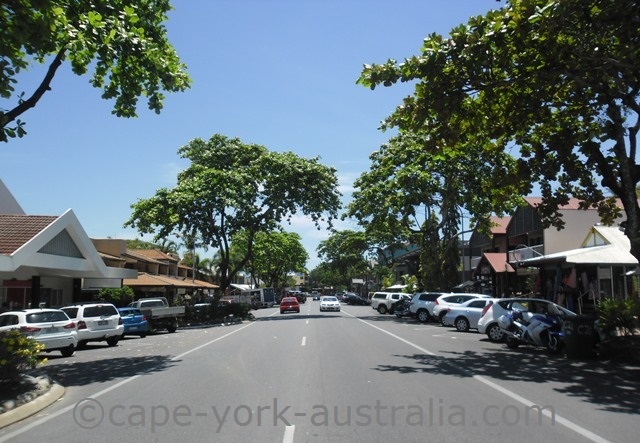 But Port Douglas keeps its small town feeling, and is actually really enjoyable. It has some colourful shops, and excellent bars and restaurants. It also has top class accommodation and lots of different tours to the surrounding rainforests and the Great Barrier Reef. 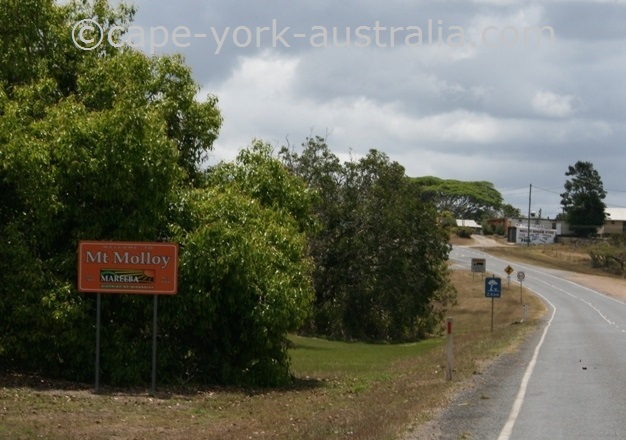 Inland from Port Douglas is Mt Molloy - a small township with some small basic shops, a pub, and a cafe that sells the famous Burger of the Lot. There are mining ruins in the southern end of the town. 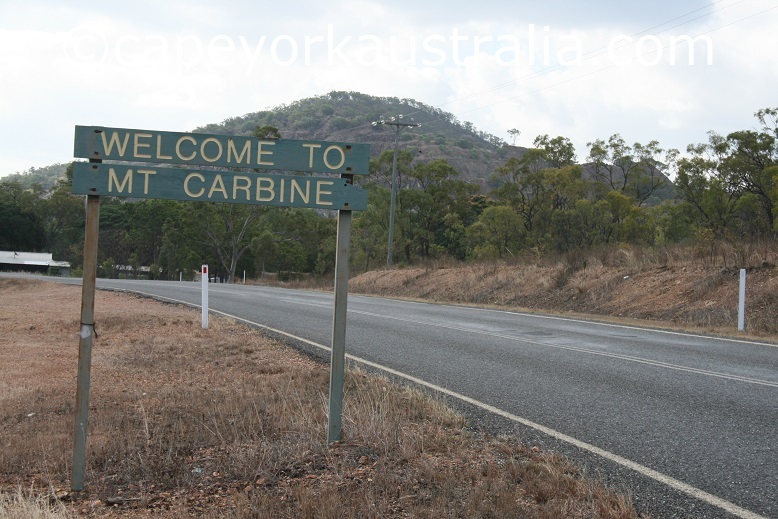 North of Mt Molloy you drive through Mt Carbine, and the pub is the only thing you see from the main road (particularly since the roadhouse burned down in late 2013. UPDATE being rebuilt as of late 2014). There is a working wolfram mine, a mining monument, and the little Brooklyn Village. 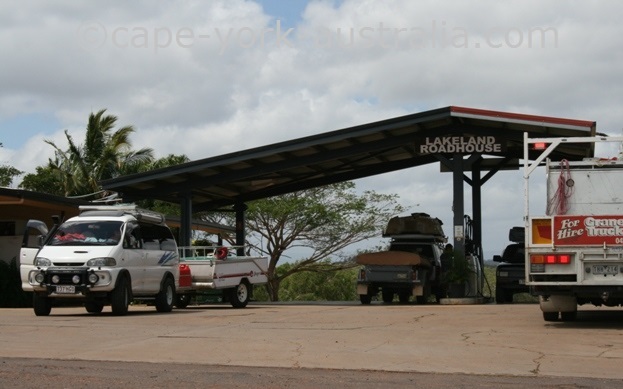 The next town north is Lakeland, and that too is one of the smaller towns on the peninsula, with a roadhouse along the highway, and a little more in the streets. It's here that the road divides - Mulligan Highway turns right to Cooktown and the coast, and Peninsula Developmental Road turns left to Laura and the tip of the peninsula. 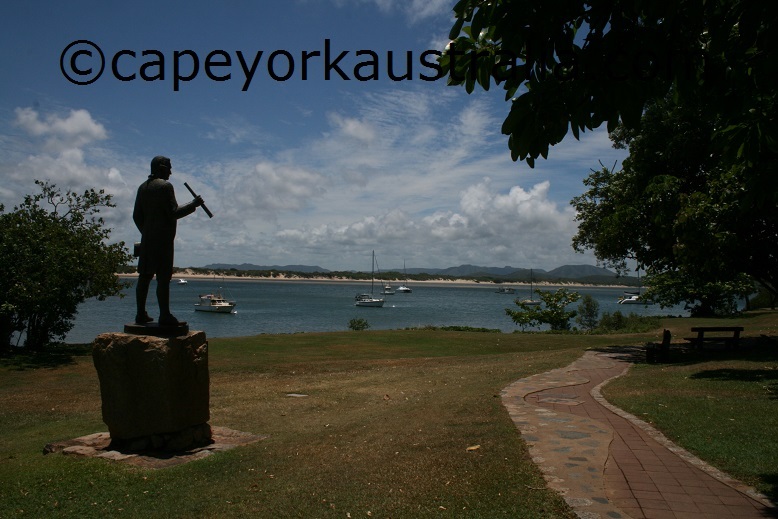 Cooktown is the most interesting of all of the towns if you like history. 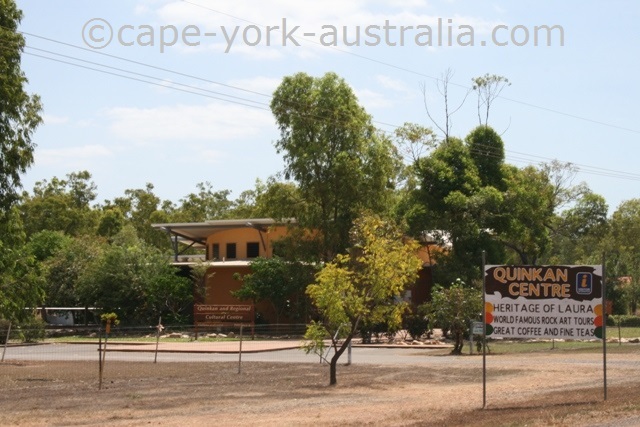 It's the place where Captain James Cook and his crew spent the longest time in Australia - long enough to become known as the 'first white settlement' in Australia. There is a great museum with displays about it all, and about the rest of the area's history. 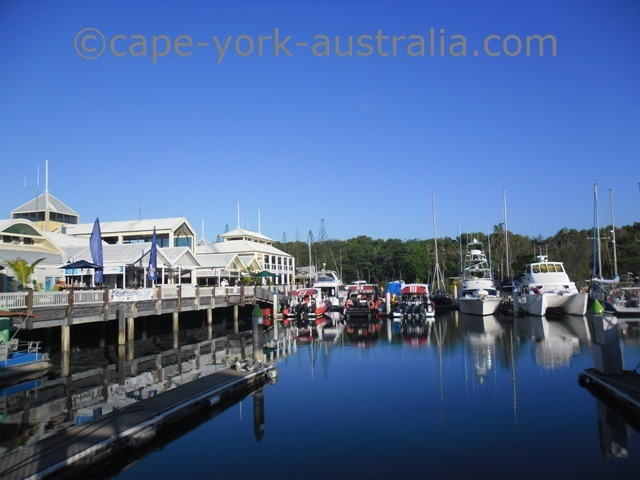 There is also a great lookout point, some lovely walks and parks, a historical cemetery, and the famous Fisherman's Wharf - one of the most popular places to fish in the area. 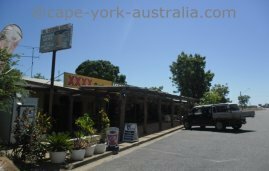 Inland is Laura - another one of great towns of Cape York with some interesting history. It's here that the Cooktown - Laura railway came during the Palmer River gold rush, and there is some of its history to see around the town. There is also some of Australia's most famous Aboriginal rock art outside the town. 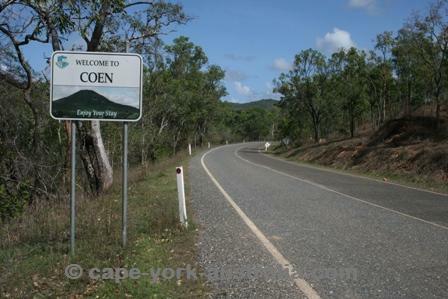 Coen is the next one north, and now you are in central Cape York. 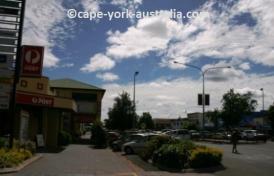 It is one of the smallest towns, but has the basic shops, a pub in the main street, and an interesting history museum. 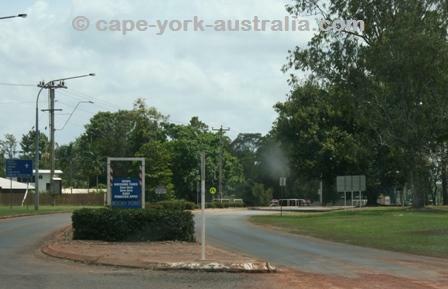 Weipa is a sizeable town in north western Cape York and the largest one of the towns on the northern peninsula. 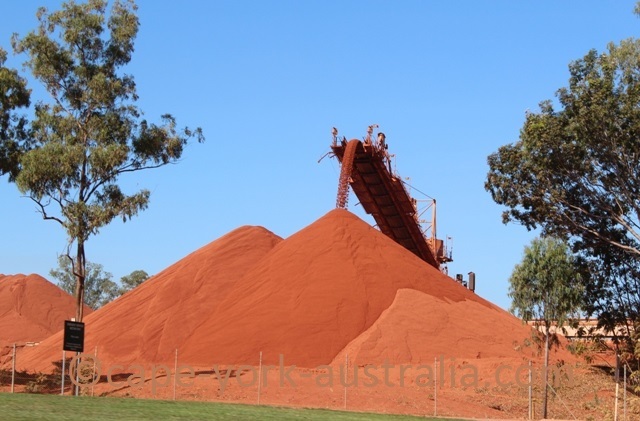 The reason for this is the largest bauxite deposit in Australia (and one of the largest in the world), which is mined here. It is really a mining town with not a lot for travellers, but its beauty lies in its red soils and blue waters, and some great fishing. 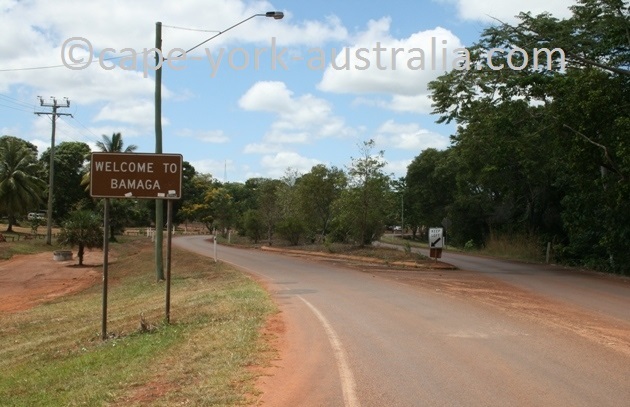 Bamaga is the largest one of the towns north of Jardine River. It is the administrative centre of the area, but there is not much for travellers. 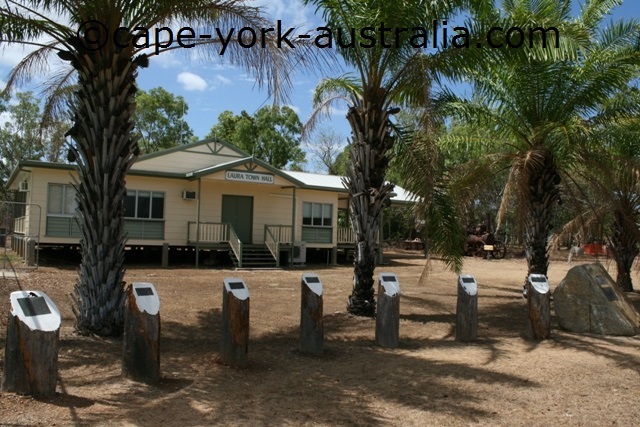 Same goes for the smaller communities Umagico, Injinoo, New Mapoon and Seisia (except fishing and island trips), but it does not mean that the Tip of Cape York is boring. You don't need touristic things to enjoy wilderness and interesting culture.